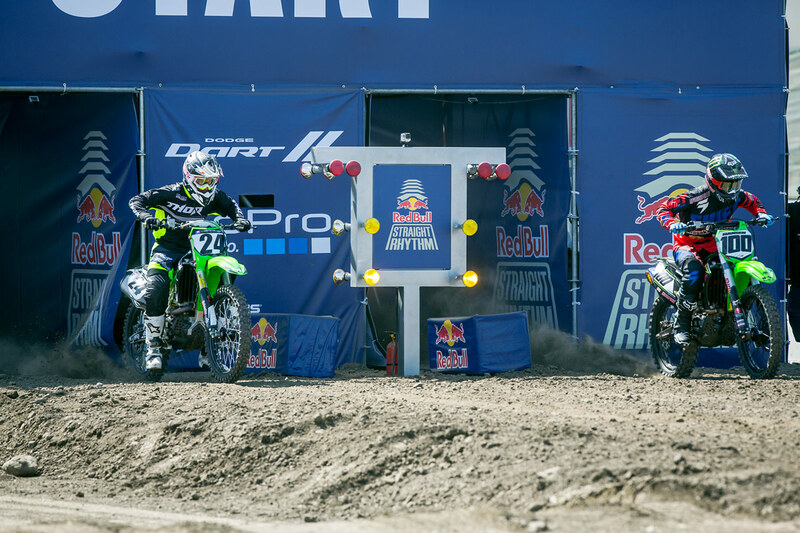 Following Red Bull's release of the official 2015 Straight Rhythm track design, we decided it was the perfect opportunity to take a look back at the inagural event in 2014. 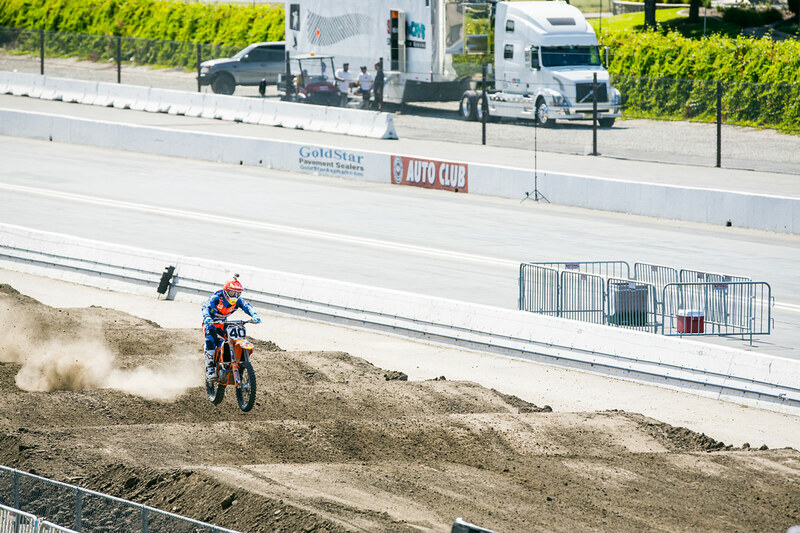 Last year's event—held at Pomona's AutoClub Raceway—was a resounding success, and with the course moving to the nearby Pomona Fairplex on October 10th, we're sure it won't dissappoint. Fasthouse was on hand last year with a full booth, ice cold drinks, and fresh gear on display. 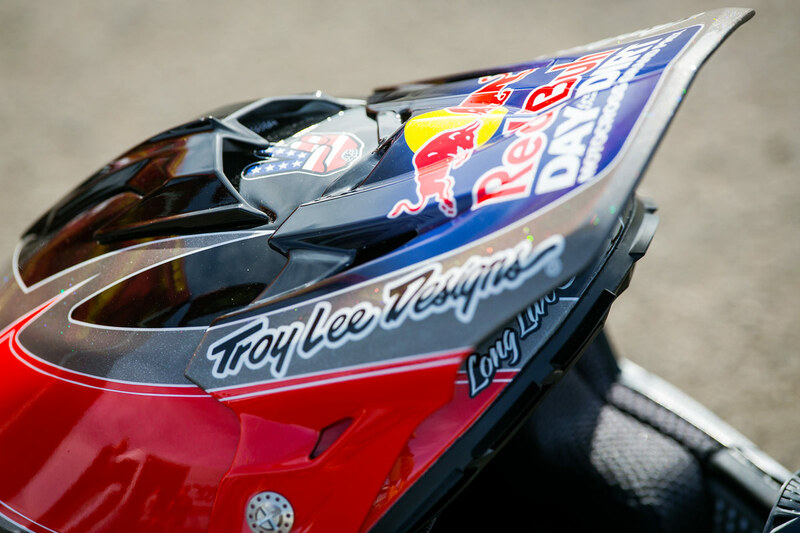 We even unvield some of the limited edition Red Bull Day In The Dirt gear, which is not entirely out of the question for this year's event. 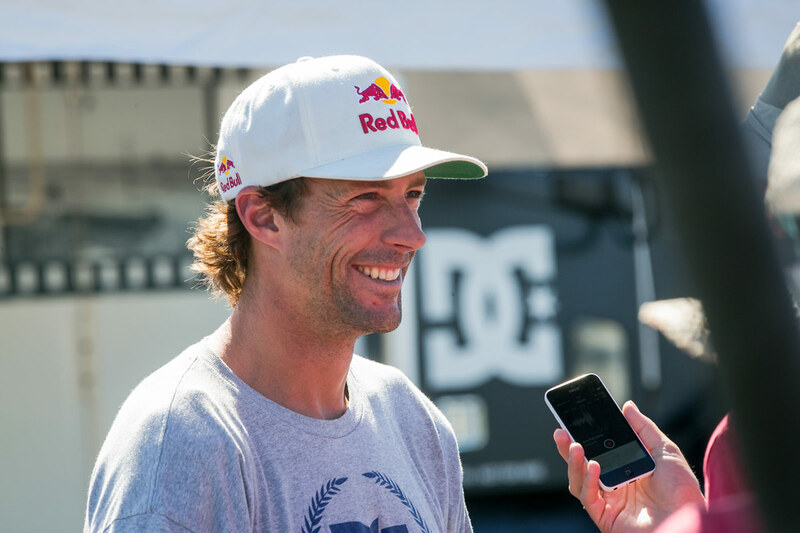 If you're looking for a good time, check out www.redbull.com/straightrhythm for more information. 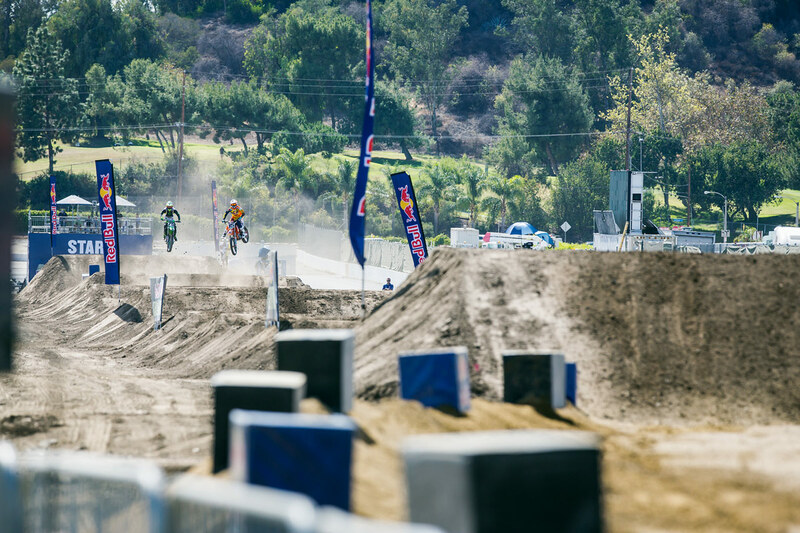 Red Bull KTM's Dean Wilson and Josh Hill battle down the course. 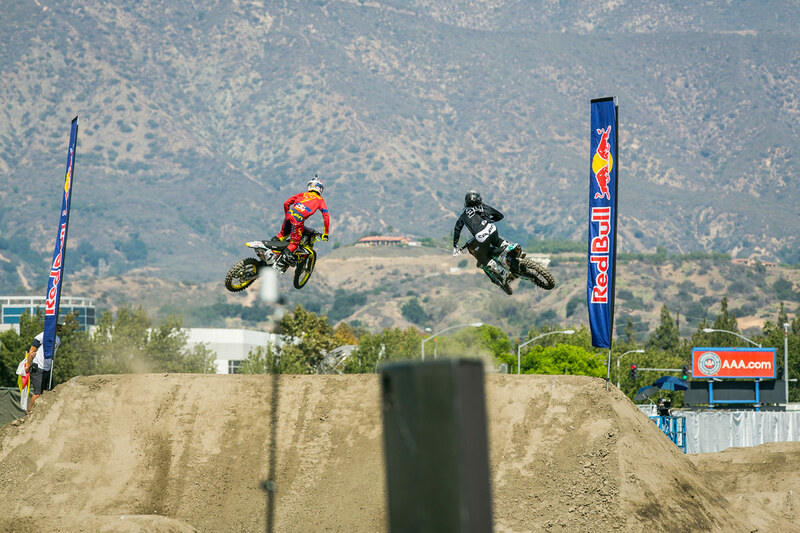 Brothers James and Malcolm Stewart went head-to-head. 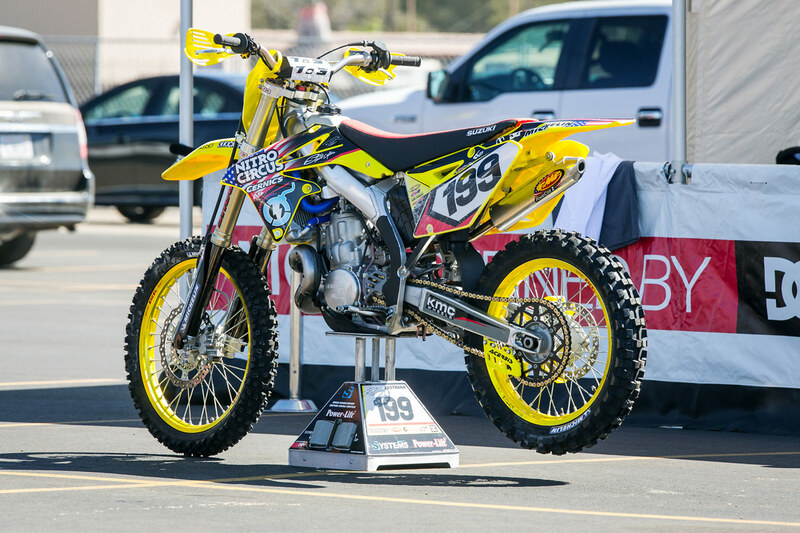 Travis Pastrana was a fan favorite last year aboard his scary fast 500cc two-stroke. 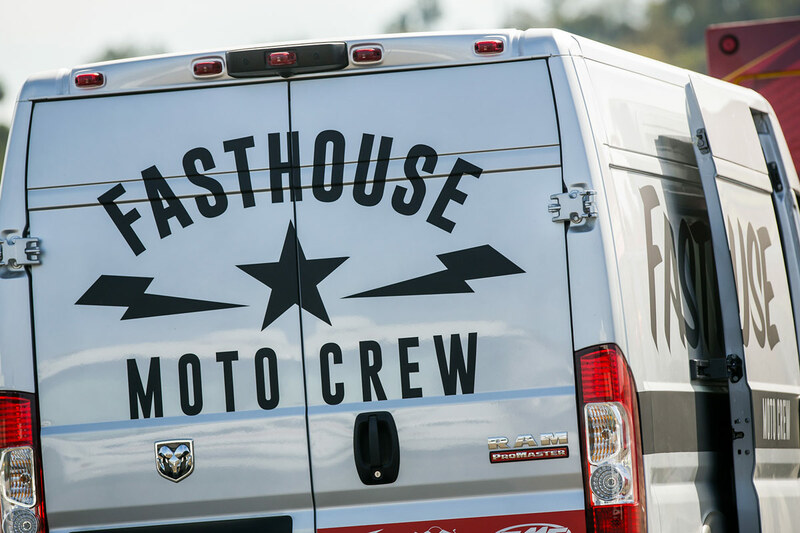 Fasthouse will be set up at this year's event. 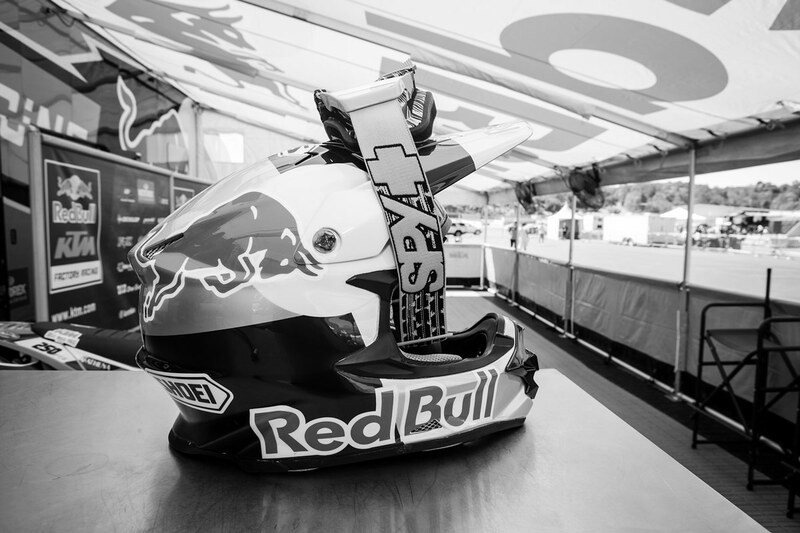 You'll have to wait and see if we unveil some 2015 Red Bull Day In The Dirt gear at Straight Rhythm. 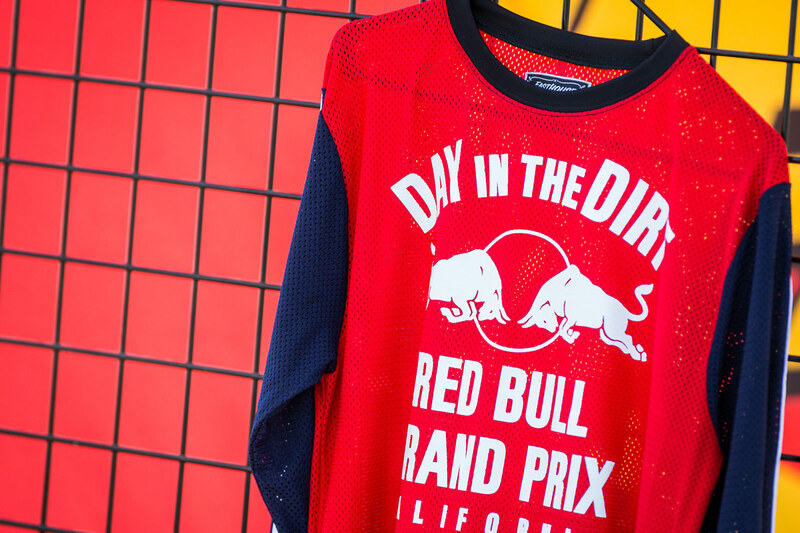 The 2014 Red Bull Day In The Dirt jersey was seen for the first time at last year's Straight Rhythm event. 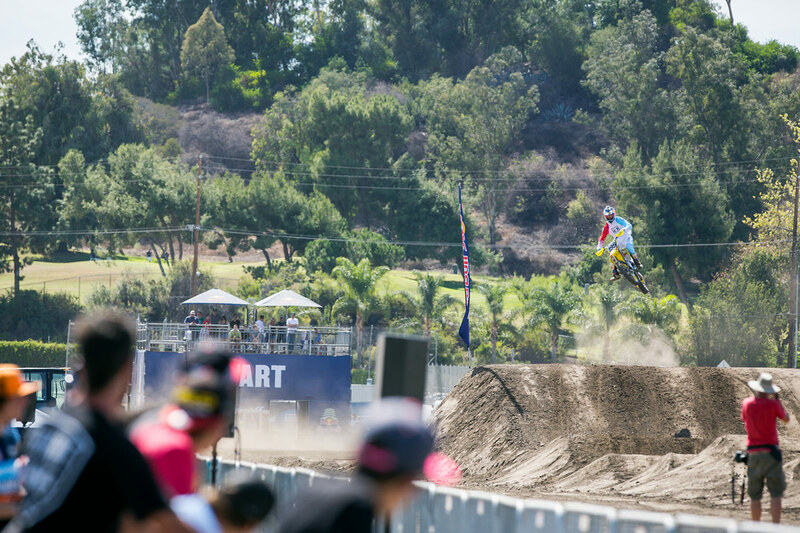 Jessy Nelson scrubs the first jump on last year's course. 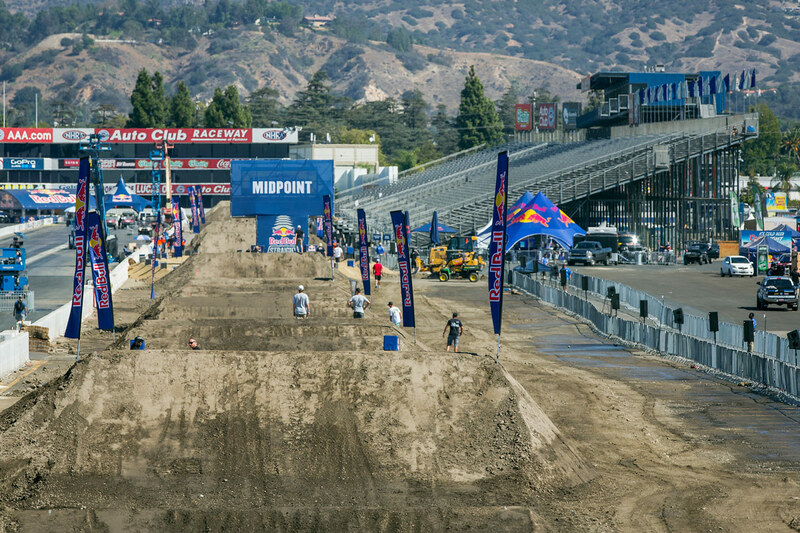 The head-to-head start gate is rad. 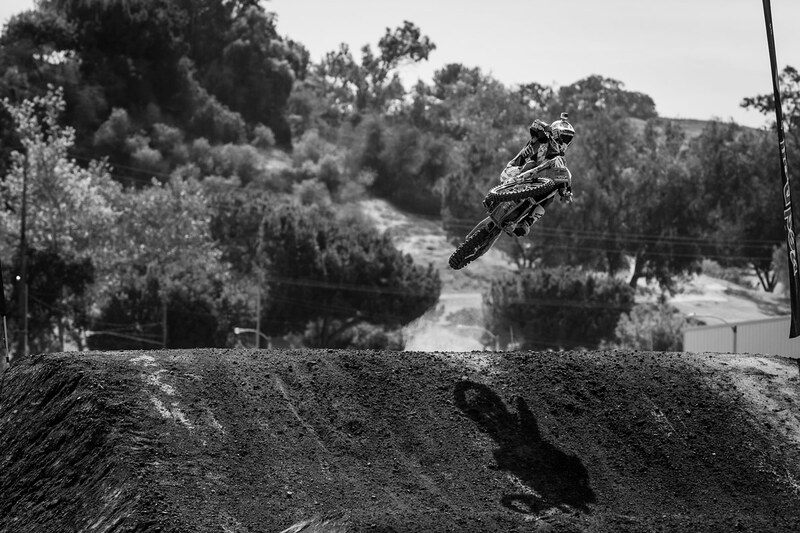 You can expect more massive whoops between the rhythm sections. This is what the course looked like from the riders' perspective. 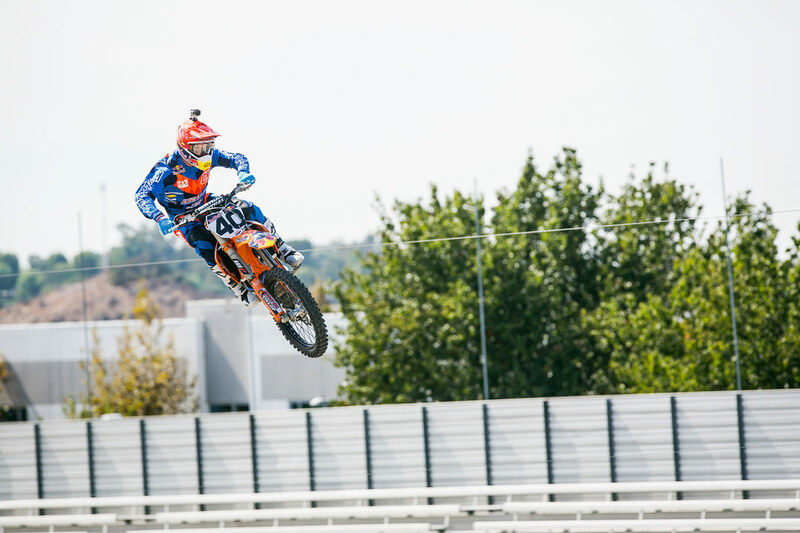 Travis Pastrana taming his 500.